Are You Using The Top Rated Pedometers To Improve Your Fitness Routine Yet? With exercise initiatives, portability, and modern features, there’s a lot of reasons to invest in a pedometer. A pedometer craze is sweeping the nation! Perhaps you’ve heard chat around the office from coworkers who’ve started utilizing pedometers to get in better shape. Or maybe you’ve noticed more neighbors walking and running outside. Is that what you’re experiencing when you sit at the window, watching the neighbors out and about with their handy, top-rated pedometers and wishing you could be in on the wellness and the fun? Don’t wish anymore–do it! Start by investing in a top quality pedometer: the perfect tool to help organize, optimize, and incentivize your commitment to exercise and wellness. One of the primary benefits of utilizing top rated pedometers in your exercise regimen is immediate proof of progress. Many people find it difficult to stay motivated to exercise regularly due to a lack of visible results. Pedometers, however, put a tangible figure on your exercise by counting your steps and distance travelled. The best rated pedometers can take your number of steps and convert it into useful alternate information, such as miles trekked and calories burned. Other features include distance trackers, long-term memory to track progress, and elevation accommodators–to ensure climbing stairs and ellipticals are accounted for in step counts. And, despite a plethora of advanced features, modern pedometers have simple, intuitive interfaces. 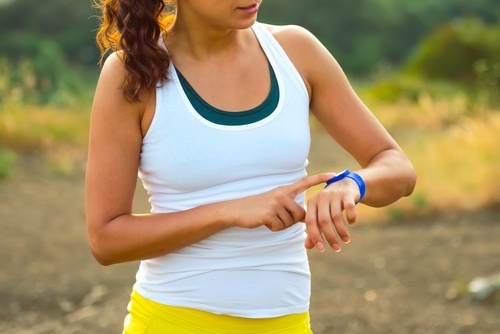 When you utilize a top quality pedometer in your fitness routine, you add a level of organization, accountability, and instant gratification that can otherwise be lacking in an exercise plan. If you feel like an extra bit of motivation might be necessary to kick your fitness routine into gear–or if you think your exercise plan could benefit from the organization and quantification that pedometers provide–why wait any longer? Get in on the fun and get yourself a pedometer! In addition to offering some of the top rated pedometer programs, Wellworks For You can help to structure your personal and workplace wellness with a variety of effective programs. To learn more about pedometers or wellness programs, contact Wellworks For You today!